Our bee classes on VIDEO! For so long my classes have required you to either travel here to Washington state or Portland, Oregon, or you fly me to your group. I am in the process of having the classes made into videos so everyone can see them. Stay tuned! 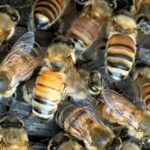 This conference, the first of its kind, brought together natural beekeepers, scientists, nature conservationists, artists and bee-lovers from all over the world. 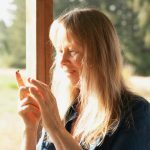 Together, we shifted our gaze from contemporary apicultural practices towards a Culture of the Bee, exploring the messages pollinators are giving us about ourselves and our relationship with the land. We wove strong international initiatives that return health and resilience to the honeybee worldwide. (Jacqueline taught two sections and Susan joined the skep weavers. Bees, with Pierre Aucante, who wrote the foreword of Song of Increase, French edition. How do we work towards mutual spiritual evolution of all beings? This is not a ‘how to keep bees’ workshop. 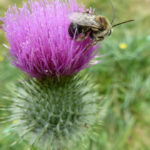 Instead we work to understand their nature and work with the relational aspects of being around bees as they call our attention to subtleties that stretch us beyond our own boundaries and perceptions, bringing joy to our connection with them and with all of Nature.